BENGALURU: Indian students planning to study abroad are increasingly preferring Germany as their destination, with the total number of Indian students doubling in the past 4 years, German ambassador to India Martin Ney said on Thursday. He was speaking at the inauguration of a three-day colloquium organized by the Alexander von Humboldt foundation, a research foundation established by the German government. The foundation, which offers fellowships for research, has around 1,400 alumni from India. “There are 15,500 students from India studying in Germany currently. This number has doubled in the past four years. Incidentally, last year, there was a decline of 8.1% in the number of foreign students heading for the United States,” he said. Speaking about the co-operation between the two countries in the field of education, Ney said that there were 400 distinct partnerships between universities of both countries. On Humboldt, he said that it was a dream of the explorer to visit India, something that the East India Company did not allow him to do at that time. 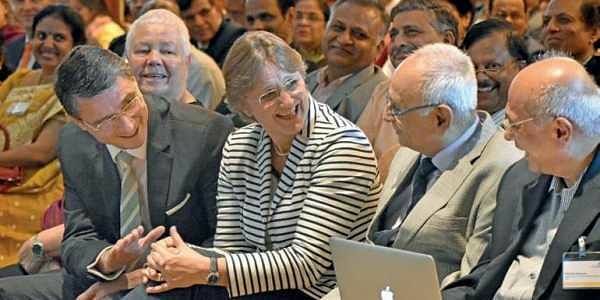 “From the EIC’s point of view, it was a sound decision as von Humboldt played a vital role in the independence movements of some Latin American countries,” he said.The Ambassador also made a wry comment on the air quality of New Delhi by stating that it was responsible for his voice sounding different from ususl.